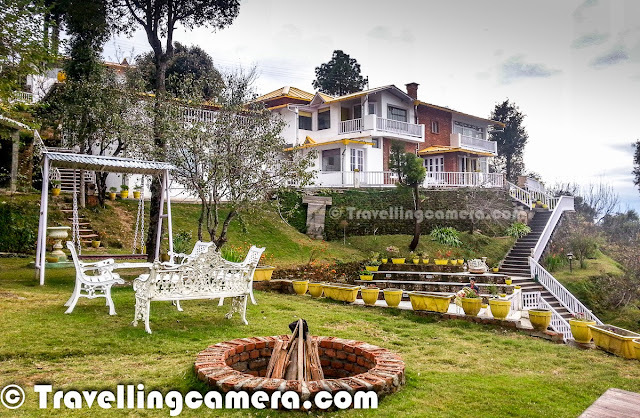 Set in the sleepy little village of Dhanachuli in Kumaun, Uttarakhand, Te Aroha, with its yellow roofs, stands out. With tastefully done interiors and beautiful landscaping, the resort is different from any other resort I have visited so far -- and in more ways than one. Let us start with the name "Te Aroha". It means "the mountain of love" or "the loved one". And when you meet the man behind the resort, Sumant Batra, you fully appreciate why he chose this name. More than business, Te Aroha is his passion. Each corner of the resort echoes this, and you can see how much love he has put into chalking out minutest of the details. The resort is named after the mountain of the same name in New Zealand. Click here to read the complete legend behind the name. 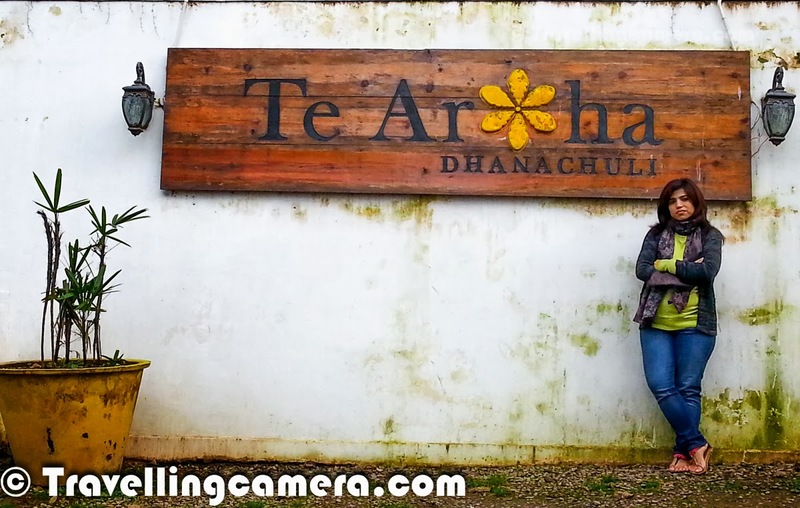 Sumant was generous enough to invite some bloggers to Te Aroha for a bloggers meet this month. We stayed there from October 4 to October 6, 2013. During these three days, we got ample opportunity to grill him thoroughly on various fronts. And he patiently answered all our questions. While a detailed travelogue will follow, I want to dedicate this post to the aspect that touched me the most. Building material: Wood rafters and boards are used in plenty in Te Aroha, instead of concrete and cement. The resort therefore appears to be at home in the hills and is spacious. It appears to preside over the hills instead of overshadowing them. Water supply: Te Aroha does have a connection to the water supply provided by the government and they do pay the bill every month, but they do not use this water. Why? The reason is that if the resort starts using the water, the villagers won't get any. So, from where do they get their water? They harvest rain water and they have also installed their own borer machine to harvest groundwater. Entertainment options: The USP of Te Aroha and Dhanachuli is how easy it is to cut oneself off from the world. The rooms do not have TV and the resort does not offer a DJ for bonfires. If you have come searching for peace and quiet, you will find them here easily. For your entertainment, the resort's library contains an interesting selection of books. Or, you can sit around the bonfire on a clear night and count the shooting stars while sipping wine. Overall development of the area: During our frequent discussions, it became clear that Sumant has much more than business on his mind when he thinks of Dhanachuli. He is concerned about the local trade, the local people, and the local heritage of Dhanachuli and also of Uttarakhand as a whole. After the June floods when the tourists retreated, the morale of the local people dipped. Most of them had lost their only source of income -- and the irony is that most of the state had actually remained unaffected by the floods. Sumant has actively been trying to bring the tourists back to Uttarakhand, and the blogger's meet he hosted was a part of that initiative. 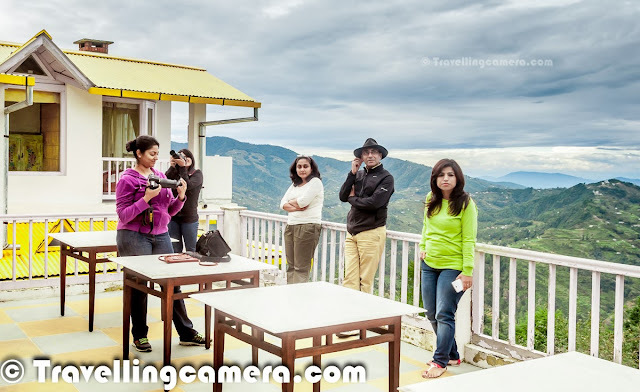 In fact, during these tough times when the hotels in Uttarakhand had to deal with 100% cancellation, several resorts let go of most of their staff. However, Te Aroha was one of the resorts that chose to keep all of their employees on board in spite of the lack of business. Sumant is also very concerned about littering and lack of upkeep of heritage buildings in the area. He is always thinking of ways to impact these positively. This was my impression of Te Aroha and Sumant. 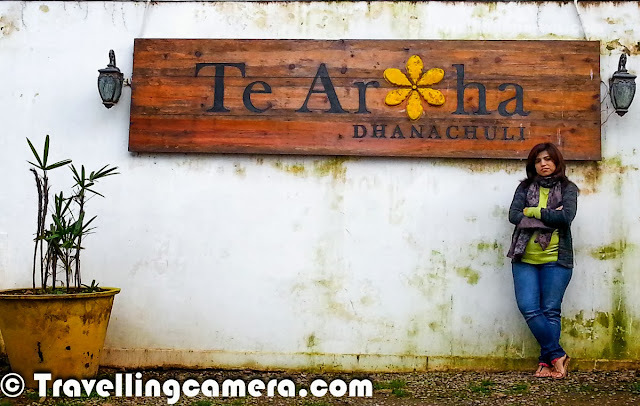 In the next few posts, I will open more windows into our experience of Te Aroha and Dhanachuli. There will be some nice stories and a lot more pictures for you to enjoy! But for now, it is enough to say that one can either step on everyone's head and reach the top, or one can choose to grow organically along with everyone else around us. While the first approach may get you faster results, the second approach will result in a healthier society. I am glad that more and more people are choosing the second approach. It can only mean positive things for our country.